Boulder loves its open space and parks. As proof: The city offers more than 60 different parks. This includes a skate park, the Municipal Plaza and sports fields. With so much space to play, it can be hard to choose where to take your family. We know how important it is for kids to get outside in nature and explore, so we’ve narrowed it down to our top six parks to help you decide. Here are our favorite parks in Boulder for families. This park, near Eisenhower Elementary School, is as cool as it gets. It used to be called The Cave Park for its awesome flagstone tunnels and rocky mazes and nooks for kids to explore. 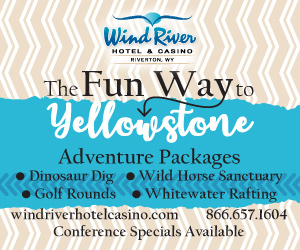 Who needs slides and merry-go-rounds when you can slide into a cave and build sand castles under the cover of rocks? This is how Boulder does a playground, designed by Mother Nature. 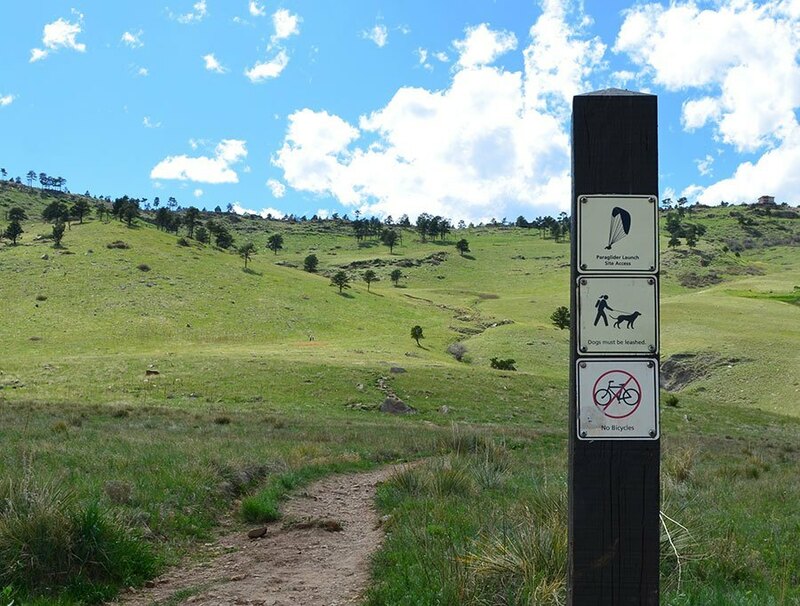 Shanahan Ridge is not Boulder’s biggest or best-known park and that’s exactly why we love it. Tucked away, off the main roads, this small, intimate playground has some really unique equipment, including a human sundial and equipment kids can climb on that’s made to scale of Boulder’s various altitudes. After climbing up high, kids can get down low and crawl through tunnels. Plenty of open turf means creative play for kids. Or for a little more structure, meander along the paved walking paths. While the little ones learn about nature and Boulder firsthand, Shanahan Ridge is great for parents, too, because it offers stunning views of the mountains. Wonderland Lake Park in North Boulder is a sweet neighborhood park with a playground and picnic tables. But what makes it stand out as one of our favorites is its easy access to Wonderland Lake and open space trails. So after your kids conquer the colorful playground, they can cast a line in the water and try to catch a fish, look for wildlife and go for an easy family hike on a paved pathway. Bring a lunch and have a picnic. It’s easy to spend a full afternoon here. Best of all: This entertainment is free. Kids love Crestview, near Crestview Elementary School, for its awesome treehouse play structure and trapezes. This isn’t your ordinary city park. The heart of Crestview Park is a futuristic-looking treehouse, surrounded by climbing trapezes and rolling hills. You’ll also find a rock-lined sandbox and other features great for make-believe. This is one of Boulder’s newest parks, renovated in 2015. Bring lunch and enjoy it under the large sheltered picnic area. Then go for a walk (with your leashed dogs, if you have them) along paved paths. Look for wildlife, which won’t be hard, since Crestview is also home to a small wildlife sanctuary. 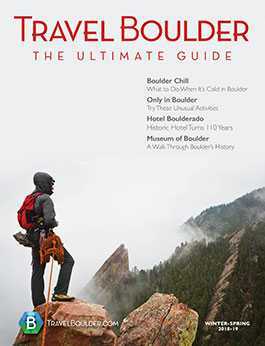 Kids can learn about the animals and parents will love the great views of the Flatirons. Kids like East Boulder Community Park for its massive dinosaur stretched out in the sand. That and its bridge-filled playground are just the beginning of what this park offers, though. 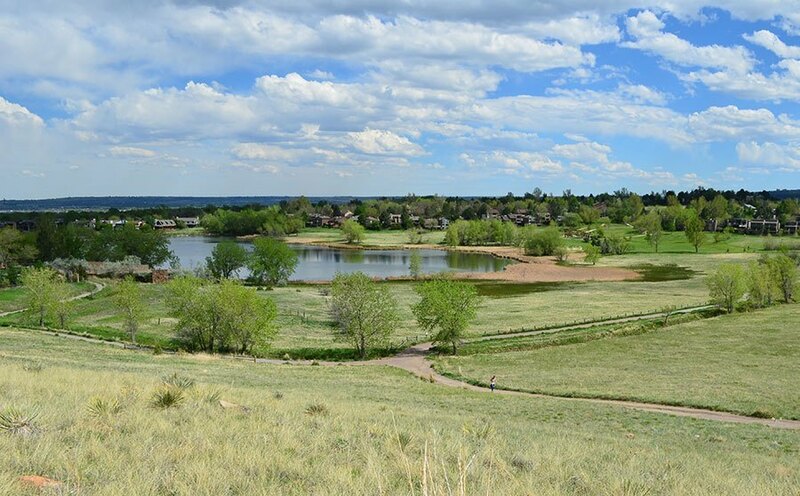 East Boulder Community Park also has a dog park, pond, sand volleyball courts, bike route access, athletic fields, a tennis teaching center, two outdoor squash courts, four outdoor handball courts and a demonstration garden. Definitely, spend some time at the pond and watch the geese drift by. Although you can’t go swimming, you can take out a small, non-motorized boat. If you don’t have your own kayak or canoe or didn’t think to bring it with you, you can rent one at places like Whitewater Tubing, right in Boulder. 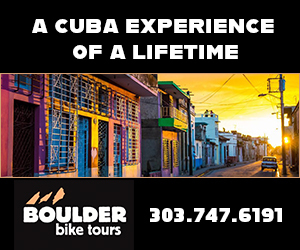 It’s also easy to access the East Boulder Community Center, making this part of town an inexpensive, action-packed way to spend a full family-friendly day in Boulder. 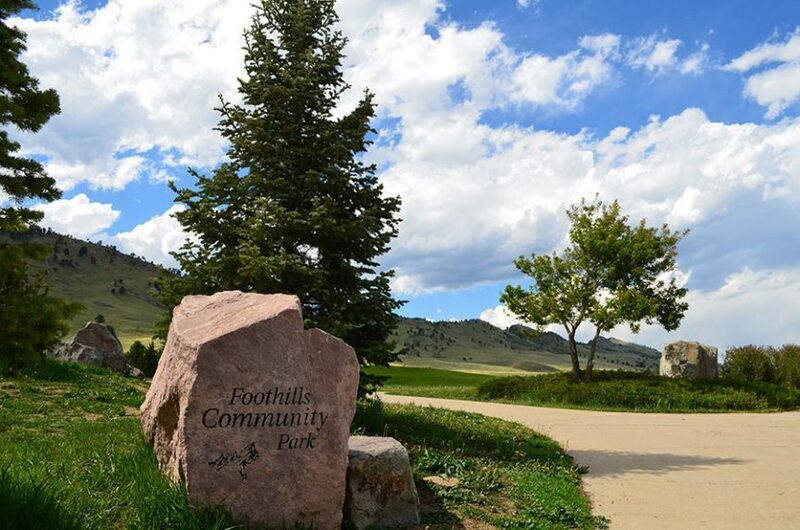 Foothills Community Park is like three parks in one; it connects with other parks by paths, so your family can play at one until you’re bored and then bounce to the next one. Walk the paths or rent bikes and plan an easy, outdoor tour. 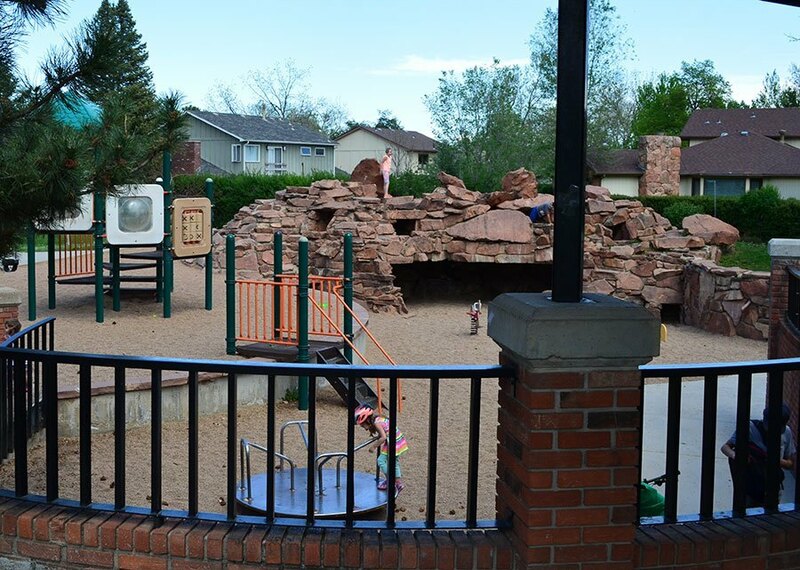 The Foothills park is a great home base because of its unique play equipment, including a polar sundial, rock wall and a mini zipline. (Love ziplines? Consider visiting Elks Park.) Let your kids swing the day away while you enjoy the view. Other highlights: basketball hoops, inline hockey rinks and a dog park.